This was not a traditional ISAP symposium, but a two-day event, in cooperation with the Cavanaugh Flight Museum, emphasizes hands-on techniques. Unlike many airshows, you will not be shooting from the wrong location—all your subjects will be in ideal light. 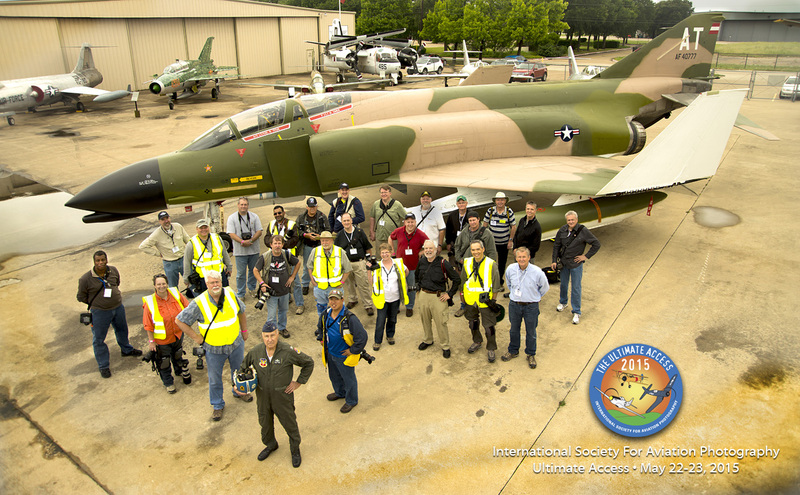 The ISAP Ultimate Access Dream Shoot day one was of exclusive access to the museum’s aircraft—exterior, interior, ramp and sunset shots. A 35-foot lift will be available for high-angle shots. Scott Slocum and one of his Bombshell models will be on hand for an instructional session with a World War II fighter. The day two provides turning props and the sweet smell of smoke oil as we photograph full-on aerobatics and thundering warbirds—not in the city, but at a very photogenic private airstrip in rural North Texas. Here you will be able to shoot a variety of fighters, other vintage military aircraft, and aerobatic airplanes as they make high-speed passes and perform low-level aerobatics. Expect old-style barnstorming, as well as short-field landing and takeoff demonstrations. The majority of this issue showcases the fantastic imagery that came out of ISAP’s most recent event, our first-ever Ultimate Access Dream Shoot held in Dallas during late May. Despite some very uncooperative weather-which resulted in some dynamic schedule changes and led us to a last-minute change of venue for part of the event-the men and women in attendance displayed their professionalism through the images they captured. Take a look and judge for yourself.